Hermes Transport Logistics is an international specialist in distribution, and is the UK’s largest courier based home delivery network handling more than 140 million collections and deliveries per annum. Hermes provides an innovative range of delivery solutions that include next day delivery, parcel returns, SMS management and real time management information. 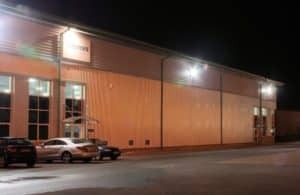 Constellation Lighting offered Hermes an LED solution for their lighting requirements, and has installed a range of different LED luminaires at many of Hermes’ UK depots. The original remit of the project was to reduce energy consumption whilst improving overall lighting performance. 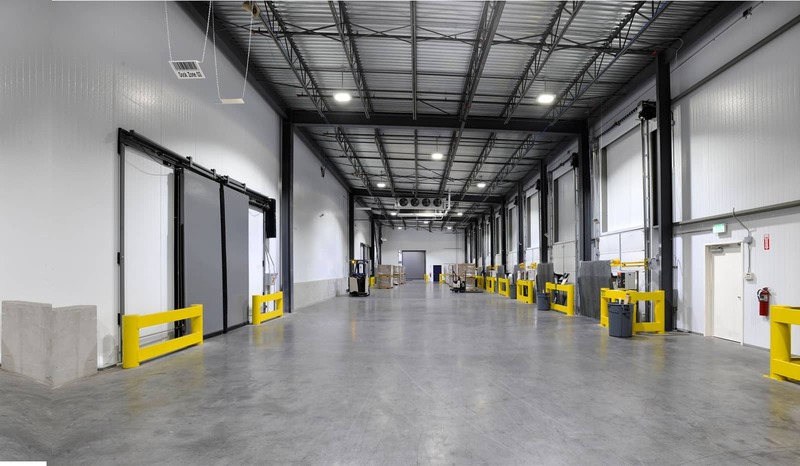 Hermes has seen first hand the transformation that LED lighting can bring to a business. Through adopting LED Hermes has seen a reduction in equivalent electricity usage of approximately 75%. 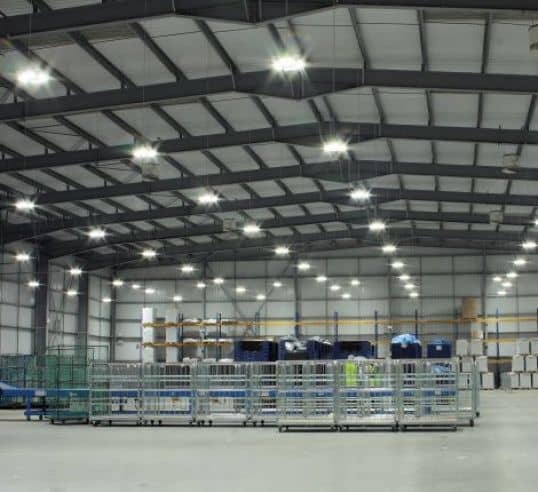 Further economic benefits are derived through maintenance savings as the light fittings have a substantially longer lifespan (up to 80,000 hours) than their previous lighting. Given that the lights are installed at a height of around 7 metres the benefits of not having to worry about bulb replacements are significant. The lights also feature a 100ms turn on time, whereas Hermes’ previous lights had a significant warm-up time. Removing the warm-up time has realised additional energy savings for Hermes. Hermes’ employees are also appreciating the improved quality of light, which allows labels to be read more accurately and improves the working environment. This makes a positive contribution to both health and safety and employee welfare. 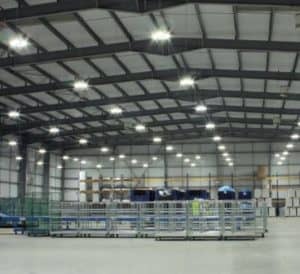 Since the first installation Constellation Lighting’s LED solutions have been utilised in a number of their depots, and Andrew Tempest, Facilities Manager of Hermes, is delighted.